Melania Trump channels Jackie Kennedy's eternal style, but did FLOTUS succeed? Last week, Melania Trump faced harsh criticism for her fashion choices - particularly for the 'I really don't care, Do You?' jacket - she picked for her visit to an immigrant children’s shelter in McAllen, Texas. At a time, when the children were separated from their parents due to her husband, President Trump's 'zero tolerance' policy. The military-style Zara jacket had the words “I really don’t care, do u?” written on the back. Just a couple days before Melania’s staff planned her visit to the border, Stephanie issues the statement: "Mrs. Trump hates to see children separated from their families and hopes both sides of the aisle can finally come together to achieve successful immigration reform. She believes we need to be a country that follows all laws, but also a country that governs with heart." She also told the reporters that the first lady “wanted to see everything for herself … She supports family reunification. She thinks that it’s important that children stay with their families." 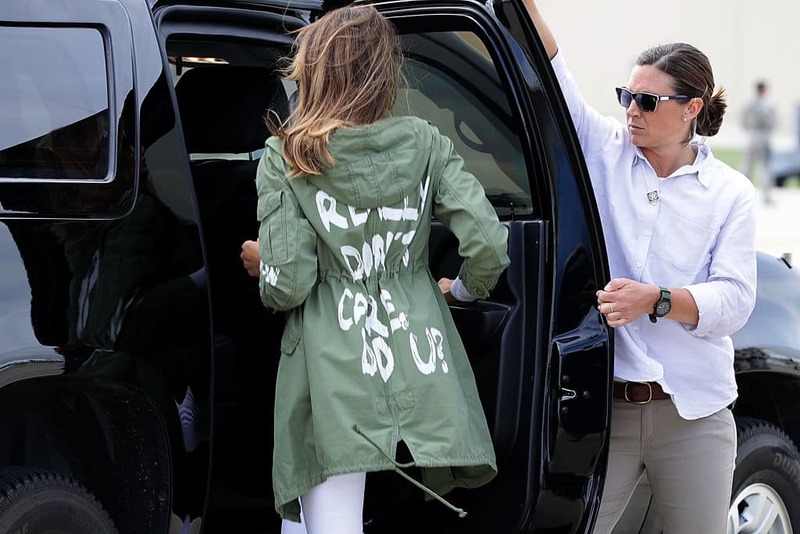 Alexandra Petri tweeted: "bet Melania is really wishing she'd gone with the "IT IS IMPORTANT TO MAINTAIN THE APPEARANCE OF CARING" jacket instead." And, Maureen Johnson tweeted, "Okay, Melania's jacket was $39 at Zara so I think there is a HIGH PROBABILITY that the mental discussion went like this, "I WILL BUY WHERE THE POORS GO IT WILL MAKE ME SEEM RELATABLE AH YES THIS JACKET WILL DO NICELY." Recently, the FLOTUS was again on the radar of her critics for her fashion choices during another visit to the US border on On June 29. This time not for wearing a controversial outfit but for imitating former first lady Jackie Kennedy's style.  As she walked off the plane at Davis Monthan Air Force Base in Tucson, Arizona, she was seen wearing a casual black t-shirt and wide-legged white pants. 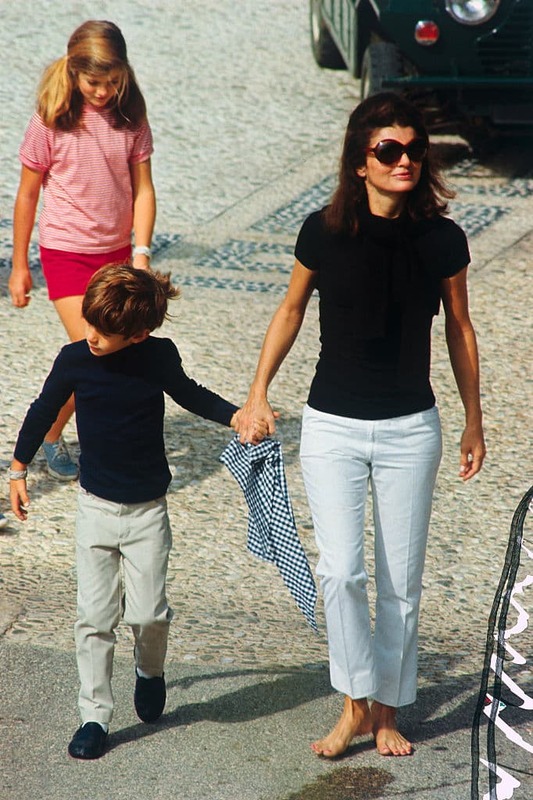 Though, she complimented the look with bright white shoes and some shades, however, her ensemble resembled something that Jackie wore in Greece on the day before her wedding to Aristotle Onassis. Of course, there were a few notable differences. For example, Jackie’s sleeves were short and she was barefoot, but the aesthetic was quite similar. It doesn’t seem like it is the first time the First lady is mirroring Jackie’s style. Melania's pastel blue inauguration coat also resembled what Jackie wore to JFK's inauguration in 1961. Furthermore, in February of 2017, Melania picked another similar outfit that resembled one of Jackie’s black-and-white looks. Both wore sunglasses that stood out, wide-legged white trousers, and a black button-down in Palm Beach. Though there might be a chance that all of this is purely coincidence, it’s highly unlikely. Back in 19959, when Melania was questioned on who she looks up to as a style inspiration for First Lady, her answer was: "I would be very traditional. Like Betty Ford or Jackie Kennedy. I would support him,” Town & Country quoted her as saying.